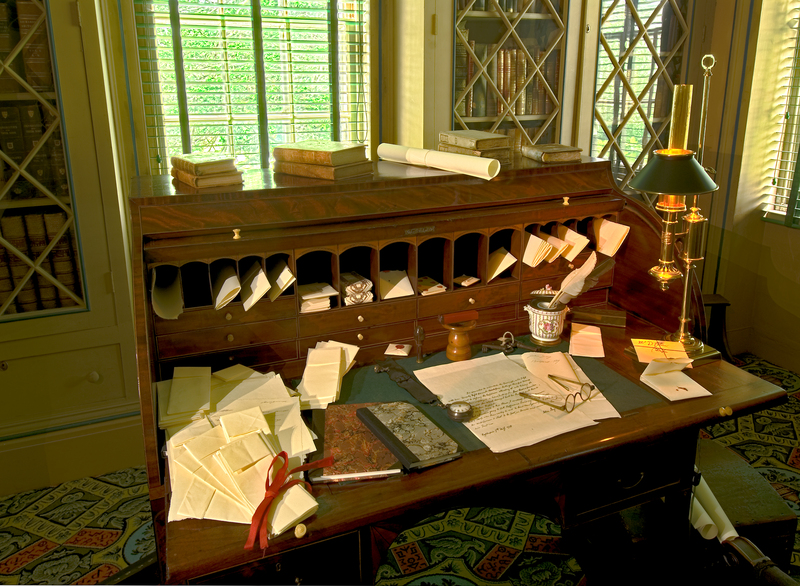 The cylinder-top desk was used by Jay while he was governor and then at the Homestead during his retirement. John Jay’s desktop got heavy use as Jay was an active manager of his farm and a prolific letter writer. The desk was made in New York around 1790.